Subject: LongIsland.com - Your Name sent you Event details of "Brunch With Santa"
While the bells are ringing and the carolers are singing grab your kids and your camera and go to Windows On The Lake for their annual Brunch with Santa. It was such a success last year, this year they have scheduled two dates and multiple seating to make sure all our kids are able to tell Santa their special wishes. 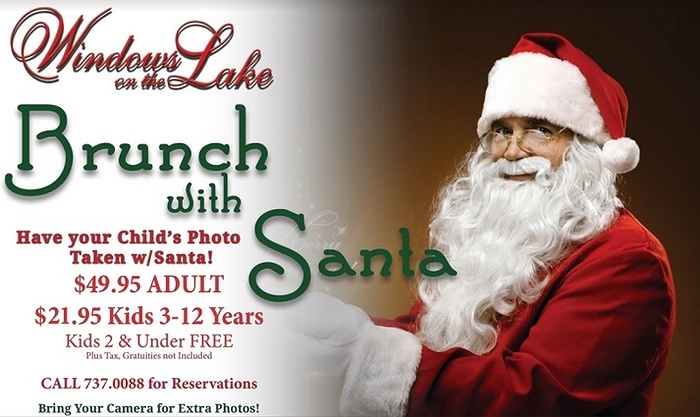 During the hustle and bustle of the holiday season, the staff at Windows On The Lake want you to sit back, relax and create memories that you will enjoy for a lifetime. 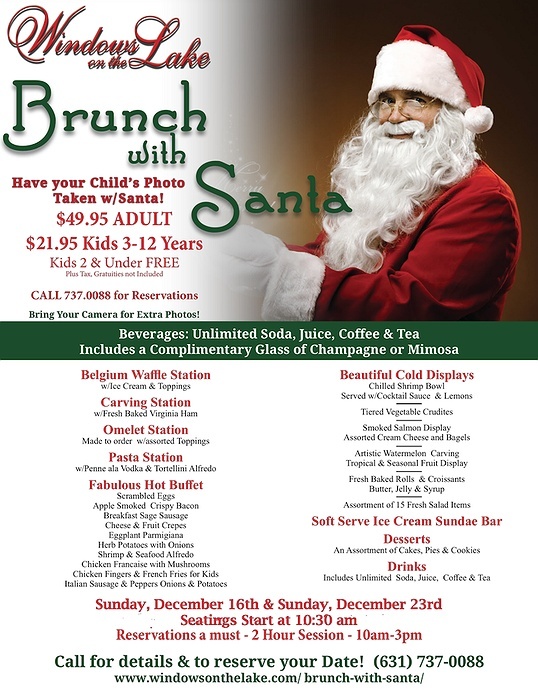 After you have created your favorite omelet at our omelet station that you have paired with one of the perfectly cooked meats from the carving station and some homemade waffles smothering in butter and syrup, your children can enjoy the magic of seeing Santa while you relax with a view of the water at our beautiful waterfront venue on the lake. Sunday, December 16th. Seating time vary between 10 a.m. and 3 p.m. Call 631-737-0088 today to make your reservation!